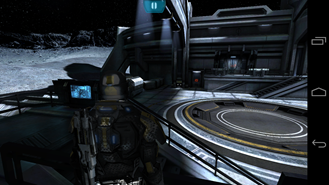 Before anyone had the chance to get their hands on Mass Effect 3 and complain about the ending, EA released Mass Effect Infiltrator on Apple's iOS. 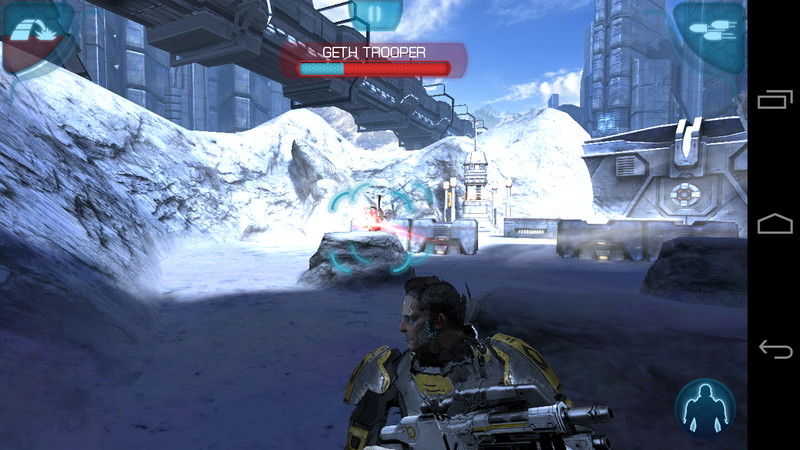 Now that most interested gamers have played through Mass Effect 3, the game has arrived fashionably late on Android. This is a game that will still appeal to fans of Mass Effect if for no other reason than it manages to tell a story straight out of the Mass Effect universe. 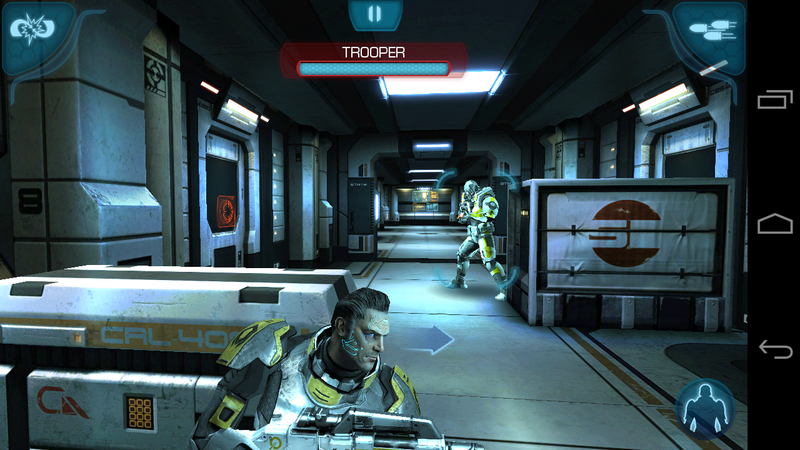 In Infiltrator, you aren't controlling the one and only Commander Shepard. Instead, you're playing the part of Cerberus agent Randall Ezno. You're just fighting the "good" fight, protecting humanity from alien influences, and generally just shooting stuff. Then the radically pro-human Cerberus goes too far and you're off on a quest to stop your former allies using every weapon at your disposal. Like many third-person shooters, this one is based around dual virtual thumbsticks. 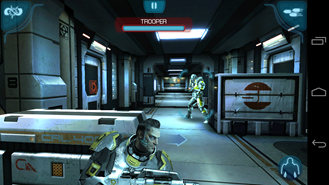 Tap and drag on the left of the screen to walk and strafe; do the same on the right to look and aim. Like the desktop game, Infiltrator relies on a cover system to keep you fighting on. To get into cover, you have to walk or run up to a barrier. It's easy to figure out which objects are valid cover and which aren't, but actually getting your avatar to hunker down can be a pain. I'm not sure why, but the game seems to wait a little too long to decide you actually want to crouch down. This leads to a guessing game where you wonder if you need to move closer to get the cover command to "stick." I occasionally ended up overshooting cover because of this. Once you're in cover, the system for moving and firing is quite good. The game will show you your available moves in the form of small arrows. Swipe left or right to dive to nearby cover (if available), and swipe up to vault over a low barrier. There is no ambiguity here. If you execute the move, you know where you will end up, and that's very good. Enemies that are in range will have a reticule around them. Just tap to start firing. The game will aim dead center in the hit box, but that doesn't mean you're going to get a kill. You have to drag the crosshairs to fine tune the aim. Tap again to stop firing, but do so before your weapon overheats. If you do overheat, you have to wait a little longer for the gun to cool down, but this is thankfully all you need to keep track of -- there is no ammo limit. 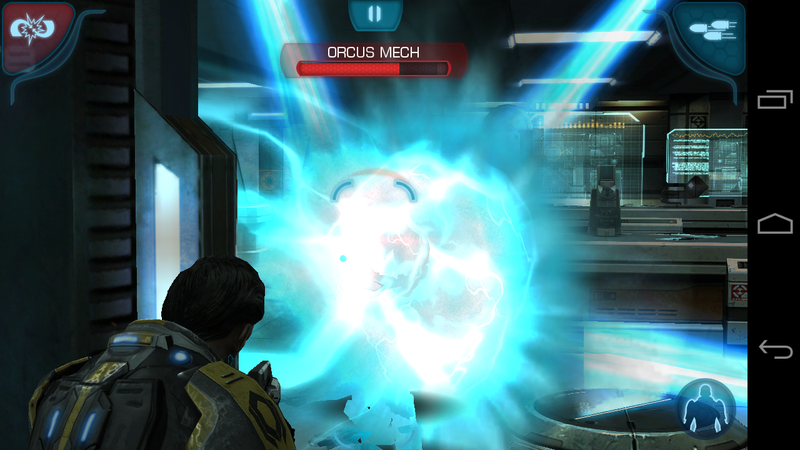 Your biotic and tech powers are the last piece of the puzzle, and really make this feel like a Mass Effect game. Biotic powers are selected in the upper left corner. Biotics let you do things like toss enemies up in the air, launch energy projectiles, and freeze the bad guys in their tracks. 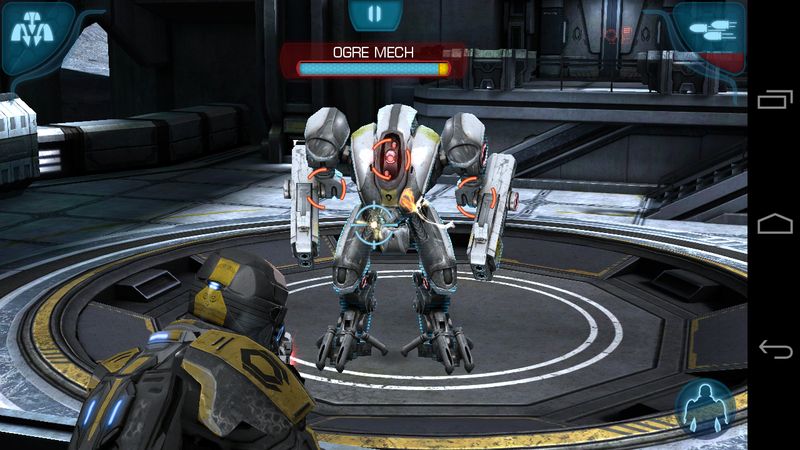 You can pick up tech powers (just called abilities in Infiltrator) as well. There is a temporary cloak, sprint, and slide to knock enemies off their feet. 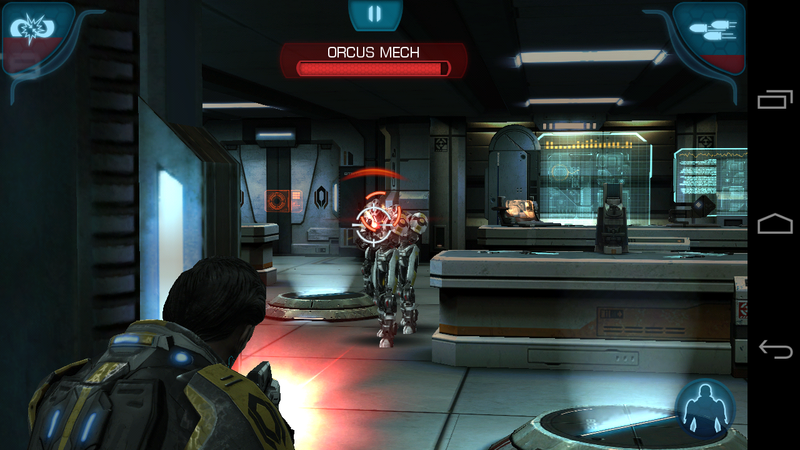 One of the main selling points of Mass Effect Infiltrator -- and the reason fans of the series were so annoyed that the Android version lagged so far behind -- is that your hard work in Infiltrator can pump up your character in Mass Effect 3 on other platforms. While playing, you can find "intel" power ups. 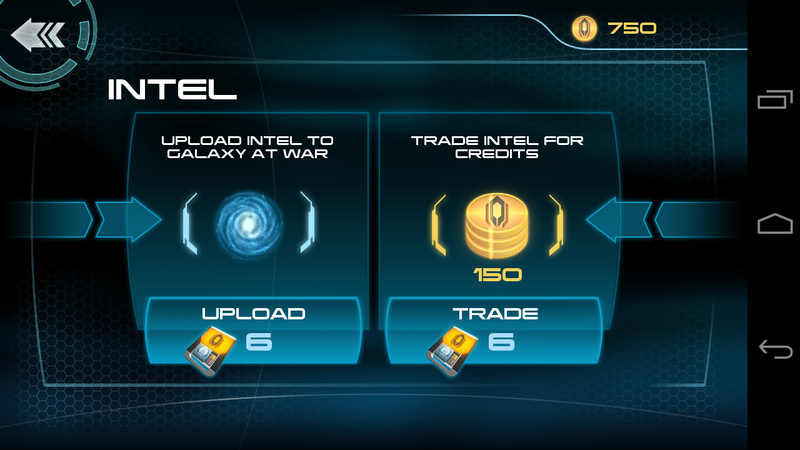 You have the option of converting Intel points into credits to buy upgrades in Infiltrator, or to pass Intel to your Mass Effect 3 character to increase Galactic Readiness. 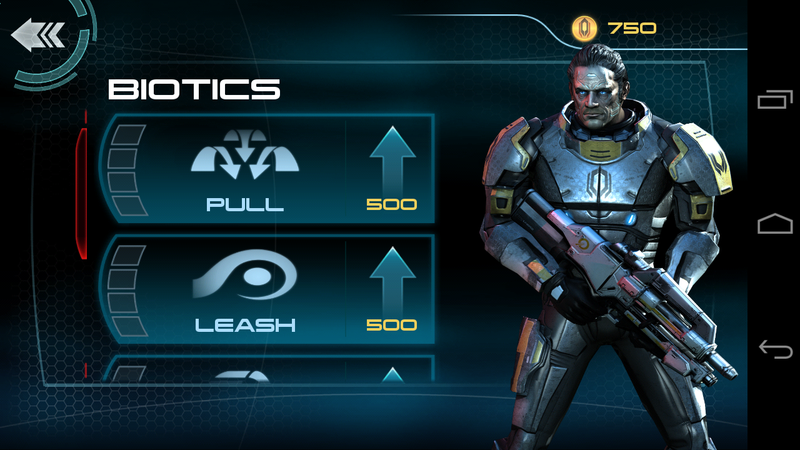 The credits you get in each stage can be used to buy better stats, guns, biotic attacks, and other abilities. The game grades you after each checkpoint, and awards credits accordingly. If you do very well, you can get more powers faster, but you can always replay a checkpoint if you think you can hit a full three-star rating. The "Galactic Readiness" score in Mass Effect 3 determines which endings you will have access to at the end. Having played the game already, I realized Infiltrator isn't going to add anything unique to the desktop/console experience. There are plenty of ways to get your readiness score up without dropping additional money on this mobile game. 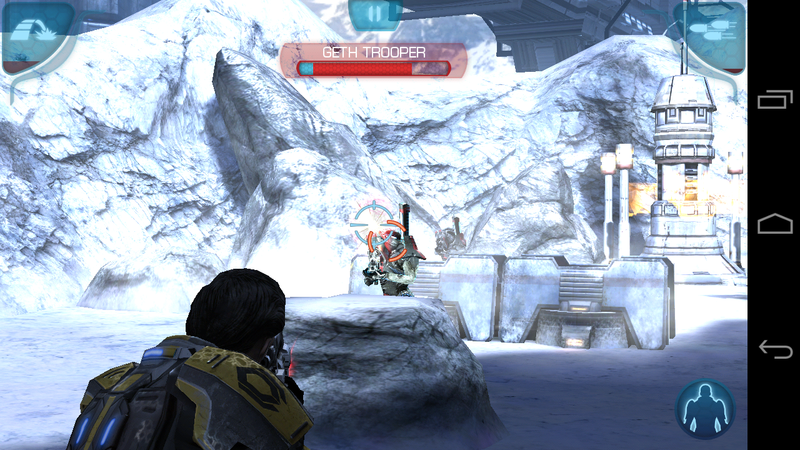 Mass Effect Infiltrator will have to stand or fall on its own merit. 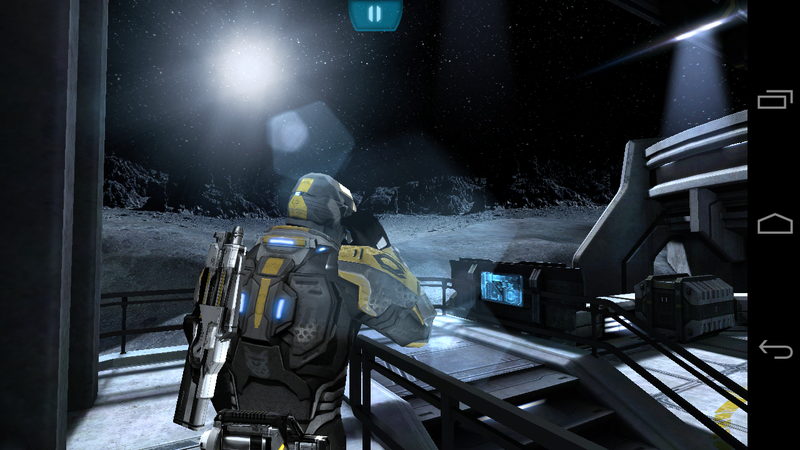 There are nine different stages in Mass Effect Infiltrator, and all of them look great. 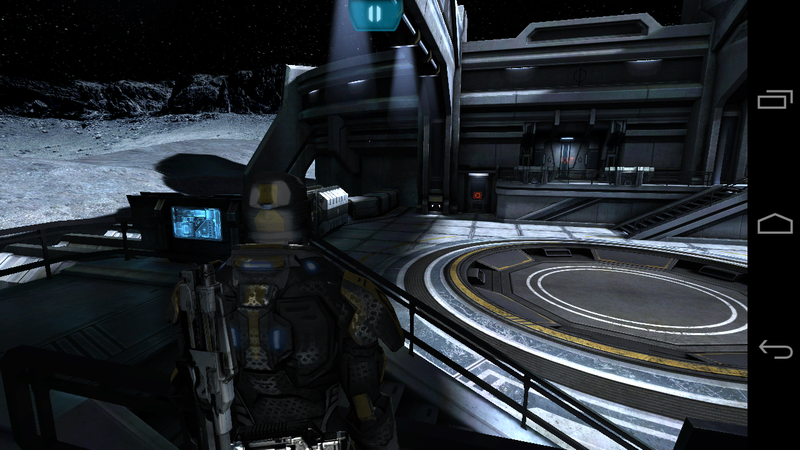 The textures are high-resolution from a distance, and even up close they look fairly good. Your character looks nicely detailed, as do many of the enemies. The larger ones in particular show an attention to detail. The game makes good use of lighting effects to set the mood when things are getting creepy, and the same goes for the really cool-looking biotic powers. When a game goes for immersive 3D on a mobile device, sometimes you end up with aliasing, or jaggies, around the edges of everything. It takes processing power to smooth all that out, but Infiltrator does the job well. Aliasing is kept to a minimum and most the lines are nice, straight, and clean. 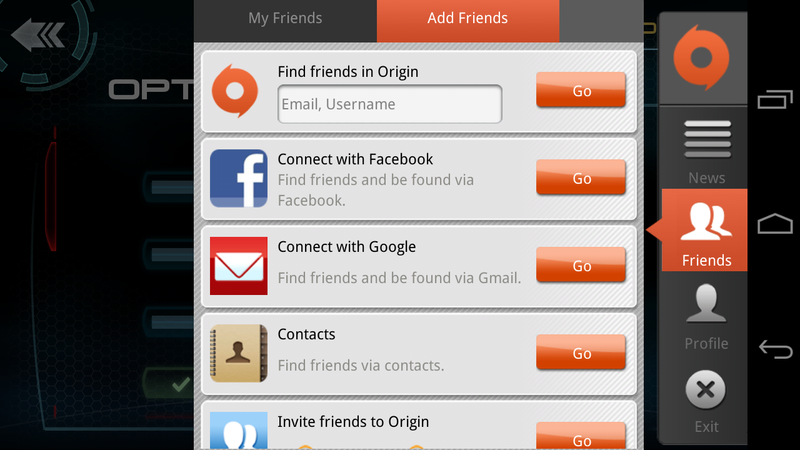 My only concern here is that Infiltrator doesn't hide the on-screen buttons in ICS. As for the overall performance with all this eye candy, it's usually very good. 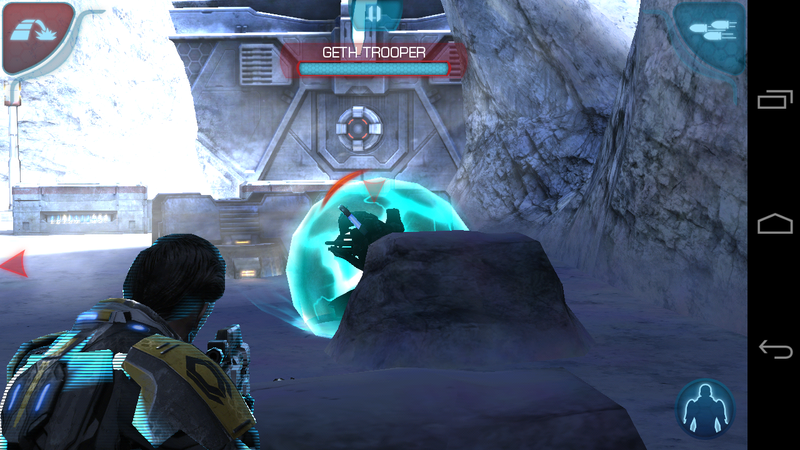 Most checkpoints play smoothly on the Galaxy Nexus, but I have noticed a spot of lag in complicated environments when there are a lot of enemies on the screen. Even at these times, the game is completely playable, and that's just more motivation to take people out. As someone that pre-ordered Mass Effect 3, I don't feel like my enjoyment of that game was hindered by not having access to Mass Effect Infiltrator. That doesn't mean you should pass on this game, though. Infiltrator is a really fun game with good controls. To top it off, it looks great. If you're not a Mass Effect fan, the $6.99 price tag could be a real turn off, and you won't really follow the importance of the story. If you decide to pick up Mass Effect Infiltrator, be aware there is a 400MB data download when you launch it. That means the 15-minute return window is toast. Bottom line, this is a wonderful game if you love Mass Effect, and a very good but overpriced one if you don't.